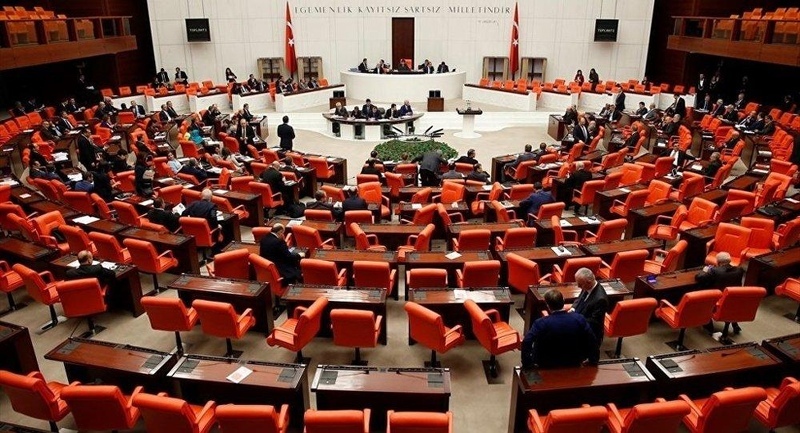 AKIPRESS.COM - Turkey’s parliament is expected to hold a final vote on Wednesday on a security law giving authorities broad counter-terrorism powers following the lifting of the two-year state of emergency imposed after a failed military coup, Reuters reports. Parliamentarians completed approval of the individual articles of the law late on Tuesday. The regulations grant broader authority to local governors, extend detention periods and allow public servant dismissals if there are links to or contacts with terrorist organizations or other perceived threats to national security. The state of emergency, declared after the failed 2016 putsch, expired on July 18 but President Tayyip Erdogan’s opponents say the new executive presidency and the latest security measures give him sweeping powers to stifle dissent. Under the presidential system, Erdogan is able to issue decrees on executive matters and appoint and remove senior civil servants, including some judges and prosecutors. Some 160,000 people have been detained under emergency rule and nearly the same number of state employees have been dismissed, the U.N. human rights office said in March. Of those detained, about 77,000 have been formally charged and kept in jail during trial, the interior minister said in April.